PRESS RELEASE:-Castries, October 6, 2017 – Law enforcement officers attached to the City Police Department have been issued with traffic ticket books in an effort to streamline the issuing and tracking of traffic offenders. His Worship, Mayor Peterson D. Francis, said illegal parking and violations of the traffic laws are already an issue. 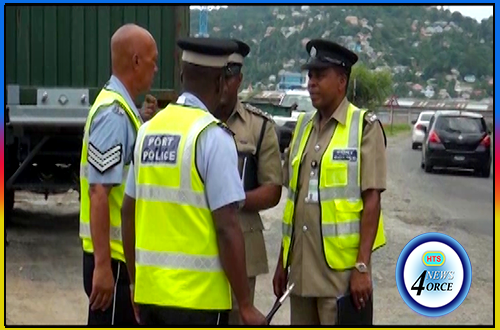 This initiative, he said, is “very much welcome and needed.” The Mayor went further to say that City Police will double their efforts in cracking down on anyone who violates traffic laws in the City of Castries. City Police Officers will officially commence ticketing traffic law breakers on a 24-hour basis from Monday, October 9, 2017.